While supplies last, your starter package includes three 2 oz. Home Brew tastes. 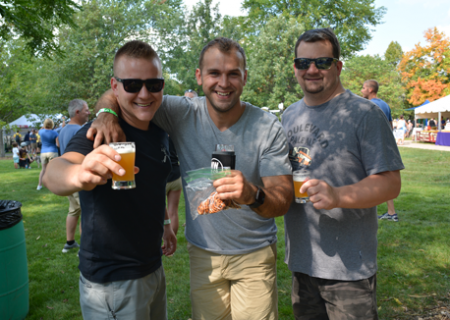 Our Home Brewers Tent will feature Illinois Home Brew Clubs and will be open from Noon – 4pm. We hope you’ll try one of our delicious food vendors instead of bringing in food, but we don’t forbid outside food. 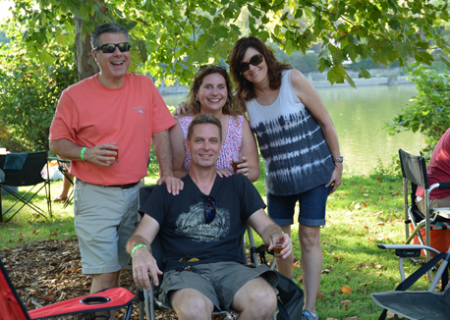 We do ask that folks bring no tents and no outside alcoholic beverages into the park during the craft beer festival. Coolers and backpacks will be checked by volunteers at our entrances. Brew at the Bridge is open to families. Our playground, live music, and food will be enjoyed by children as well as their parents. We welcome your leashed pets at the event. Guests are responsible for cleaning up after the pets accompanying them. Please pack supplies accordingly.